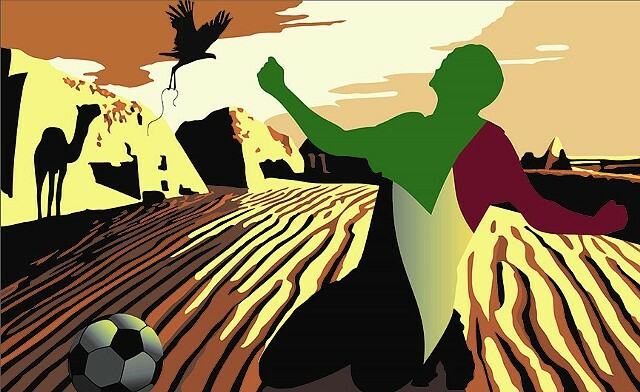 The soccer player figure is filled with the image of the country’s flag. The ancient buildings shown in the desert background are the Nubian Meroe pyramids where kings and queens of Kush were buried. I created shadow-like forms of a camel and the country’s indigenous secretary bird that can be found on the national emblem. These birds hunt snakes and have thick scales on their legs to protect them from bites.